Hugo's is my absolute favorite gluten free restaurant in L.A. I'm a regular, dining there at least every other week. Located in WeHo, just a few blocks from The Abbey, Fiesta Cantina, and, my personal favorite, Millions of Milkshakes (check out my previous post here), Hugo's is a great spot for gluten-free eating -- they label everything on the menu as to whether it can be made gluten free! The food is Healthy American; they have meat on the menu with plenty of fish, vegetarian, and vegan options as well. The restaurant labels vegan and vegetarian options similarly to its gluten free options. 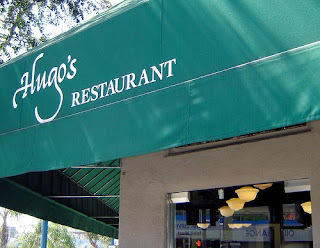 Hugo's is a must try for all L.A. Celiacs. My recommendation: start with the Deconstructed Black Bean Nachos, order a strawberry mojito (or a pitcher, depending on how long your day of work was), and then check out the ever-changing specials. I've ordered the Tofu Mole, Stir Fry, and Very Green Casserole and have not once been disappointed. The restaurant also has terrific gluten free desserts! Not only is Hugo's a delicious gluten free restaurant, it's also a celebrity hotspot. 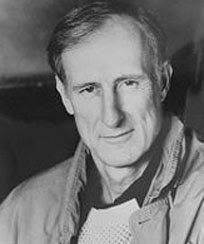 Recently, Zac Efron was spotted eating lunch at Hugo's, and when I was there in January I saw James Cromwell (of "Babe," "Spider-Man 3" and the recent "W."). A quick Google search lead me to plenty of other celebrity sightings at Hugo's, but the restaurant is very relaxed and low-key. As the weather gets warmer, Hugo's will open its outdoor patio which is great for summer dinners. The food will not dissapoint and neither will the atmosphere. It's great for dates or just going with friends. I've also heard that the brunch menu is terrific, but I have yet to try it out. The restaurant also has a location in Studio City/North Hollywood that I haven't visited (I have yet to cross the threshold into the . . . dum dum duuuummm . . . VALLEY). would love to try this place on our next la visit. Be careful....my wife go sick there from something in their food preparation probably.... Dont know...good luck. For the non gluten free people, the food was absolutely amazing. Wish she didnt get sick because we will probably never go back.